What do these Broadcasters Have in Common? These are just a few of the successful Canadian broadcasters who have gone through the doors of Western Academy Broadcasting College located in Saskatoon, Saskatchewan. Talk about great testimonies. If you’ve been thinking about getting into the industry, or know of someone who is, WABC is the way to go! 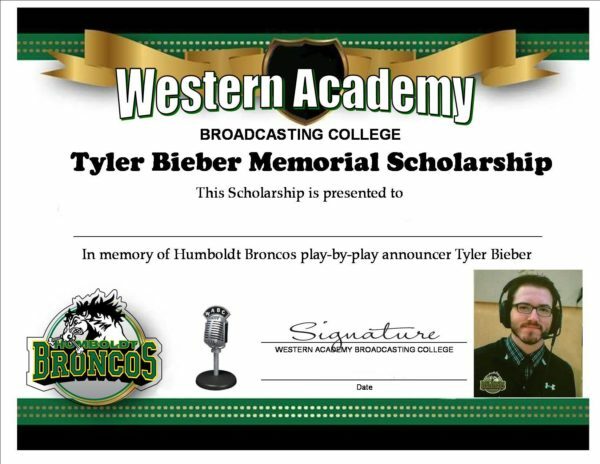 Once again Western Academy Broadcasting College is offering scholarships in tribute of Humboldt Broncos “play-by-play” announcer Tyler Bieber. . . !